Look for flyers and on the neighborhood Google Group for information on all St. Anne’s Hill upcoming monthly socials. Every summer there is an opportunity to enjoy the outdoors in St. Anne’s Hill and have good times with the residents and friends! 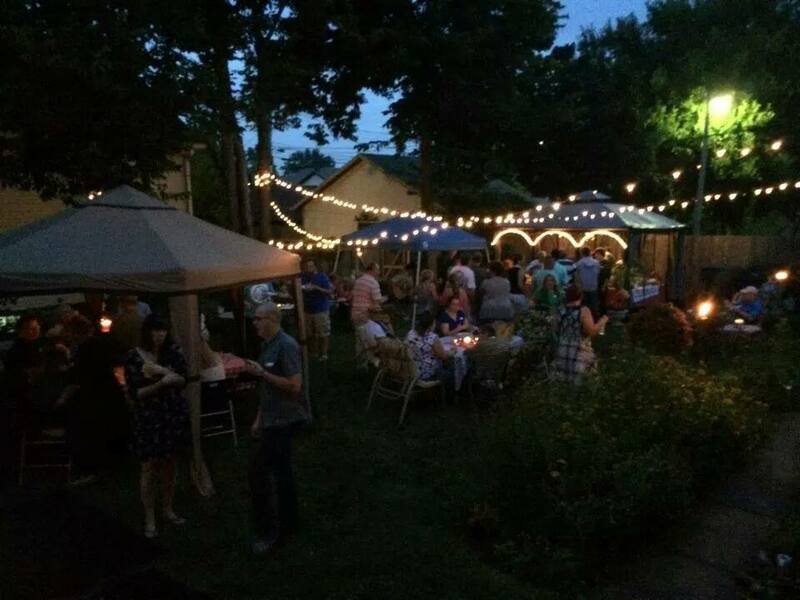 The Porch, Patio and Deck Parties (PPDs) are sponsored by the St. Anne’s Hill Historic Society and take place in June, July, August and September. They are progressive dinner party served at three different homes (and sometimes in one of our parks!) each month throughout summer. As always, the St. Anne’s Hill P.P.D. is open to all residents, their friends and relatives! Please invite them for a good time! Announcements for PPD’s are delivered through fliers to homes within St. Anne’s Hill as well as emailed to the Google Group list. 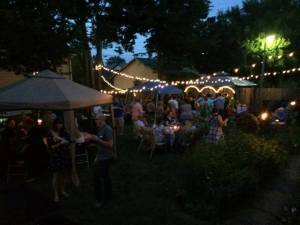 The cost of each event is used to reimburse for the food served by each neighbor that hosts. Where: St. Anne’s Hill Historic District either at a neighbor’s home or one of our parks! 1st House serves hors d’oeuvres, 2nd House serves entrée & 3rd House serves dessert!